From the small town of Pawnee to outer space to 'Jurassic World,' Chris Pratt leads the human cast of 'Jurassic Park 4.' In just a year's time, the next installment of the films made famous by Steven Spielberg will hit theaters, and Universal kicked off the countdown by releasing a new batch of photos from dino country. Though lacking in the dinosaur department, the latest 'Jurassic Park 4' photos, which premiered over at The A.V. 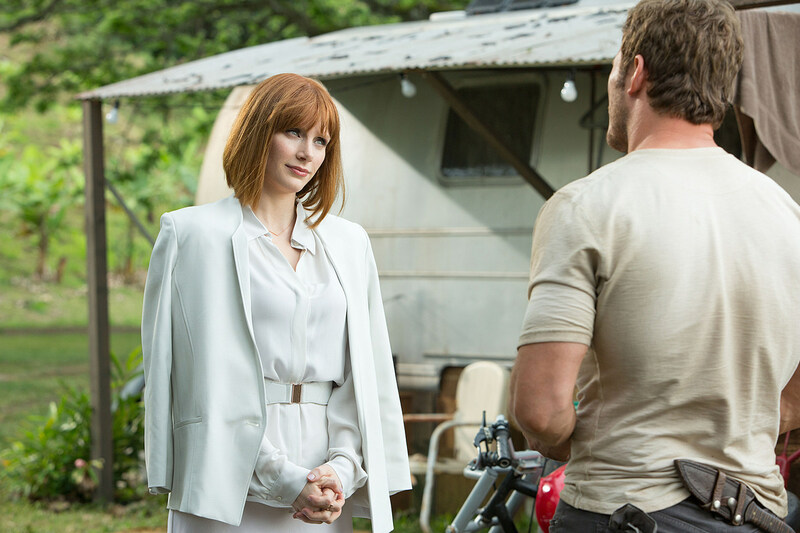 Club, reveal our first looks at cast members Chris Pratt, Bryce Dallas Howard, Nick Robinson and Ty Simpkins (that kid from 'Iron Man 3'). Based on early details from director Colin Trevorrow, we know that 'Jurassic Park 4' (officially titled 'Jurassic World') will take us back to the original Island Nublar where a thing like a fully operation dinosaur park with live dinosaurs is common place. But don't worry, a new, genetically altered dino will be wreaking some havok soon enough. As for the human cast, Pratt will portray a raptor researcher who's "trying to figure out the limits of the relationship between these highly intelligent creatures and human beings." Details on the remaining characters are unknown, but the pant-suited Howard looks to be the one in charge. Not shown in the photos are additional cast members Jake Johnson, Vincent D'Onofrio (as the villain), Judy Greer, Irrfan Khan and BD Wong. 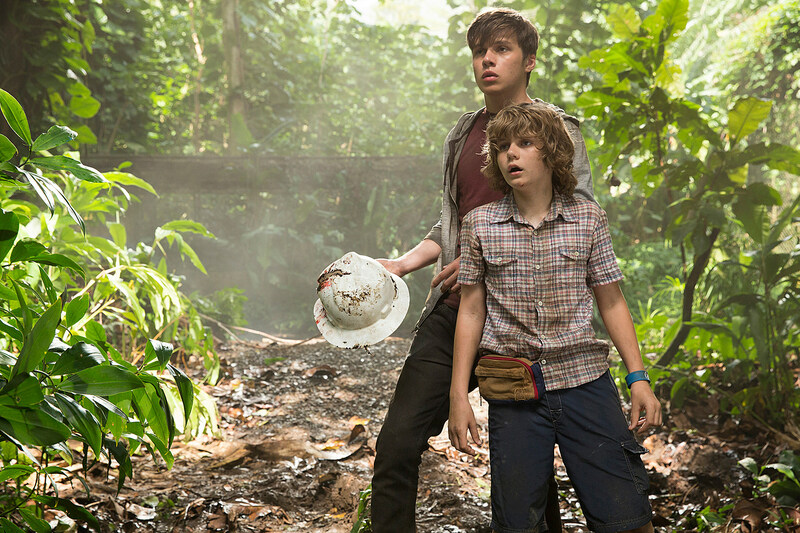 'Jurassic Park 4' will hit theaters in a year's time, on June 12, 2015, but you can get your early look through the new photos above and below.